Are you considering getting a dog from one of the breeders in your area? Reputable dog breeders truly care about the homes they send their puppies to and will interview prospective dog owners as thoroughly as you need to interview them. Here you'll find the questions you need to ask dog breeders, as well as the questions they are likely to ask you. As if full-size Chihuahuas weren’t already small enough — think Taco Bell dog — there’s been a rise in the popularity of Teacup Chihuahuas! Here are the Pros and Cons of Teacup Chihuahuas and some of the people who love ’em and hate ’em. By the way, if you’re looking at a miniature Chihuahua or a mini Chihuahua, then it’s probably a Teacup Chihuahua. Teacup Dogs Are So Cute, But Is A Teacup Dog Right For You? Pocket-sized dogs or miniature dogs are referred to as Teacup dogs. There’s a huge market for small dogs – the smaller the better. But is a Teacup dog right for you? Hybrid dogs and designer dogs are canines that have purebred parents, but each parent is from a different breed. Here are the downsides of owning a designer dog, and some advantages. 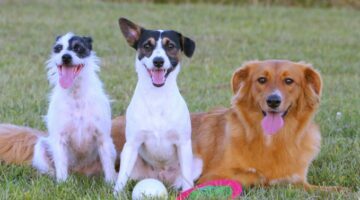 What’s The Difference Between Purebred, Mixed Breed, and Hybrid Dogs? If you dog is pregnant with mixed breed pups and you’re wondering what breed to call the puppies when they’re born, or if you recently adopted a dog whose parents were from 2 different breeds and you’re wondering what to call that new dog breed, check here for a list of over 300 new dog breed names! Your mixed breed dog might be an entirely new dog breed. We’ll help you determine the new dog breed name. Looking for a dog breed but want to help out a dog in need? Here are some ideas on where to find a dog in need. Plus the top 30 dog breeds in need. Looking to get a new dog? This video provides some great tips. 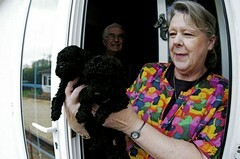 Plus advice on how to find a good dog breeder. 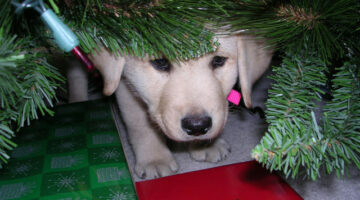 Are You Giving A Christmas Puppy As A Gift? In addition to the time required to train and care for a new puppy and the financial obligations required throughout the dog’s life, there are dozens of reasons that a Christmas puppy shouldn’t be given as a gift on Christmas Day. BUT… here’s how you can still give a Christmas puppy as a holiday gift! Reputable dog breeders truly care about the homes they send their puppies to and will interview prospective dog owners as thoroughly as you need to interview them. Here are the questions you need to ask dog breeders, as well as the questions they are likely to ask you. Did you know that a significant percentage of dogs found in shelters were put up for adoption by owners who chose the wrong dog for their lifestyle? Here are the things you need to consider before you bring a new dog home to live with you. Here’s how to tell the difference between a good dog breeder and a bad dog breeder. Use this information to determine whether you’ll find a puppy that will live a long and healthy life, or whether you’re dealing with a puppy mill or backyard breeder. 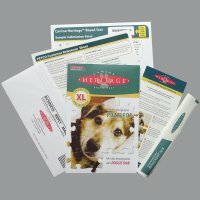 Some Legitimate Dog-Related Tax Deductions You Can Actually Take! What follows are actual tax deductions, as quoted by people ‘in the know’ who share their take on tax write-offs as they relate to dogs. I can’t say it any better than these folks. See why experts in the field agree… it’s never a good idea to give a puppy as a gift, despite the fact that it may seem like the best thing to do. Here are 10 heartfelt stories, revealing why Christmas puppies are never a good idea. Thinking of adopting a dog? Here are the top 10 reasons dogs end up in shelters, plus some interesting facts about dogs in animal shelters.